John Voelcker October 28, 2015 Comment Now! 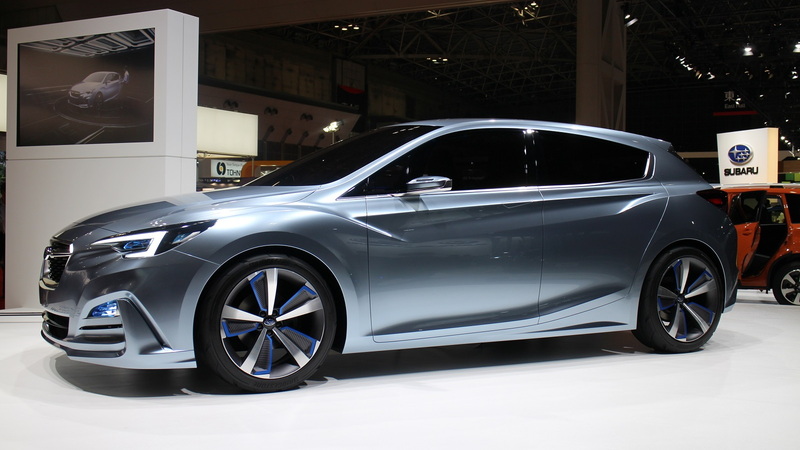 Acknowledged by the company to be a preview of the all-new 2017 Subaru Impreza hatchback, the concept features a "blend of bold expressions of Subaru's Dynamic & Solid elements, and a quality feel beyond its class," according to the announcement. 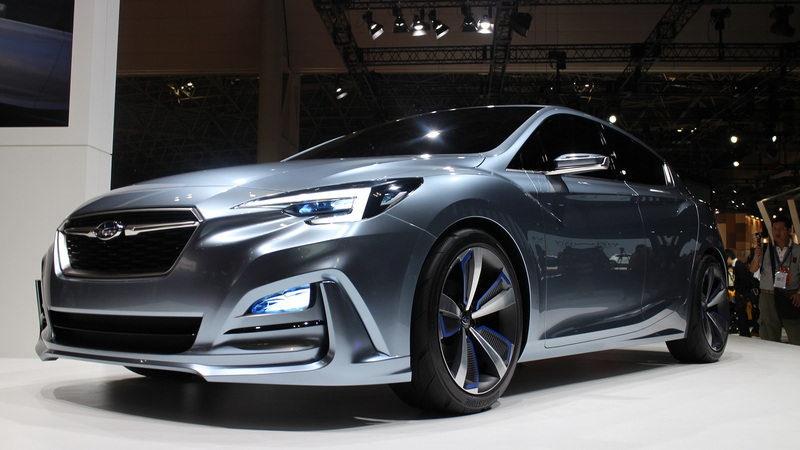 The design hints at not only the next-generation Impreza but also at future Subaru models. 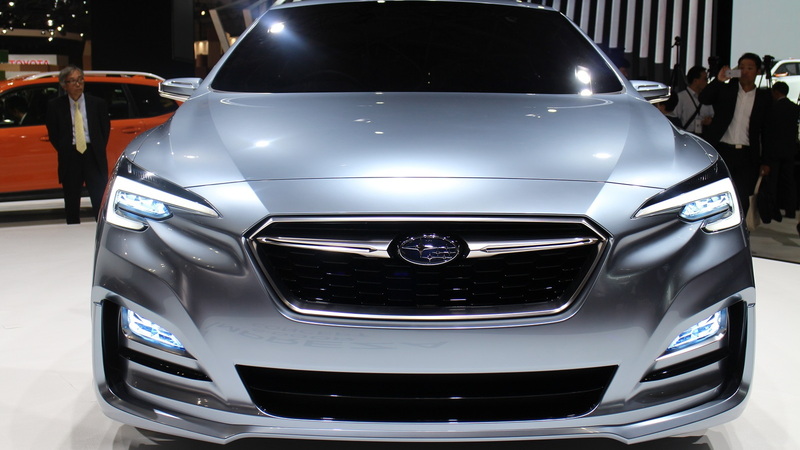 With the Legacy sedan and Outback wagon just refreshed for the 2015 model year, the next new Subaru is likely to be a seven-seat larger crossover utility vehicle, followed by the new Impreza. 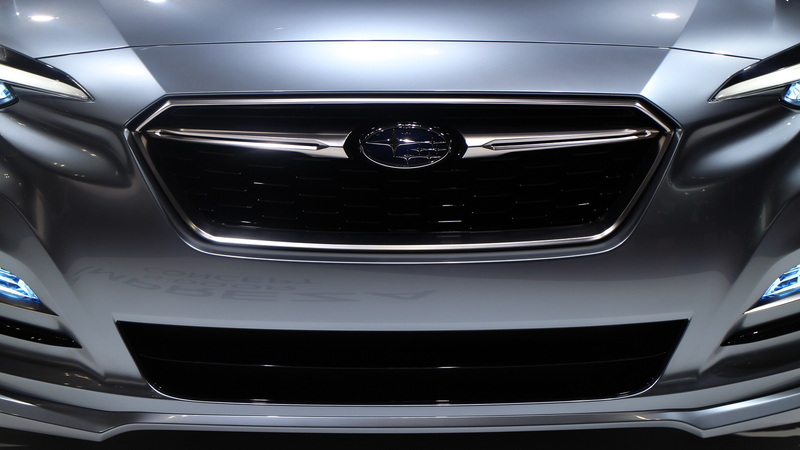 The Impreza 5-Door Concept has character lines along its body sides, along with the characteristic Subaru hexagonal grille and headlights in the brand's "hawk-eye" shape. 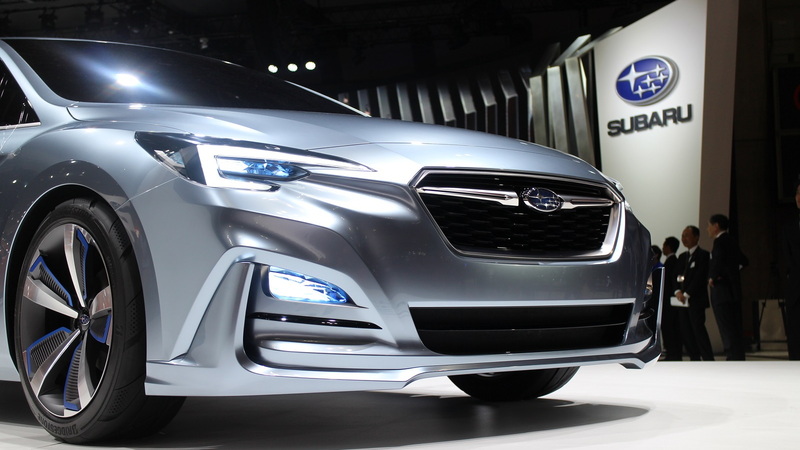 Large wheels, typical of a show car, and strong fender flares "express the reliability of Subaru All-Wheel Drive," the designers say. The new Impreza design has more rounded surfaces and appears to have a more descending roofline than the current, square-cut model. The concept Impreza being shown in Tokyo will also spawn a new generation of the very successful XV Crosstrek crossover utility vehicle, likely a year or two after the Impreza itself launches late in 2016. The new Impreza will be the first compact Subaru built in the company's Indiana assembly plant. That site has built Legacies and Outbacks for a quarter of a century, and with Subaru taking over the rest of plant—it previously built Toyota Camrys—the company is adding production for both Impreza and Crosstrek compact cars and the new seven-seat crossover as well. Our first take on the Impreza 5-Door concept is that it has some resemblance to the current Mazda 3 hatchback. And at the press event, it became clear that at this point, it's a styling exercise only. Subaru gave no details of the powertrain or any features, and the sole specifications were limited to its dimensions, the wheels (19 inches), and the seating capacity: five people. For more details, expect the actual 2017 Subaru Impreza to be unveiled roughly a year from now. In the meantime, see what else is at the Tokyo Motor Show by visiting our dedicated hub.